Mobile Trading Partners is a technology company designing and delivering Mobile apps, Website UIs and Widgets for the Finance industry with a particular focus on FX, since 2010. The company have built a reliable Market Data distribution network in the Cloud together with Charting and Transactional services to support these activities. At the moment the company is focused on creating custom products for collecting, displaying and processing market data from LMAX Exchange trading platform. Mobile Trading Partners team at N-iX works as a part of our partner`s development office in close collaboration with the product owner and technical specialists from the UK, France, and Germany. The team is currently working on iOS development (including applications adaptation for Apple iWatch), Android development and server-side enhancement by adding new functionality to the server and doing testing and bug-fixing. 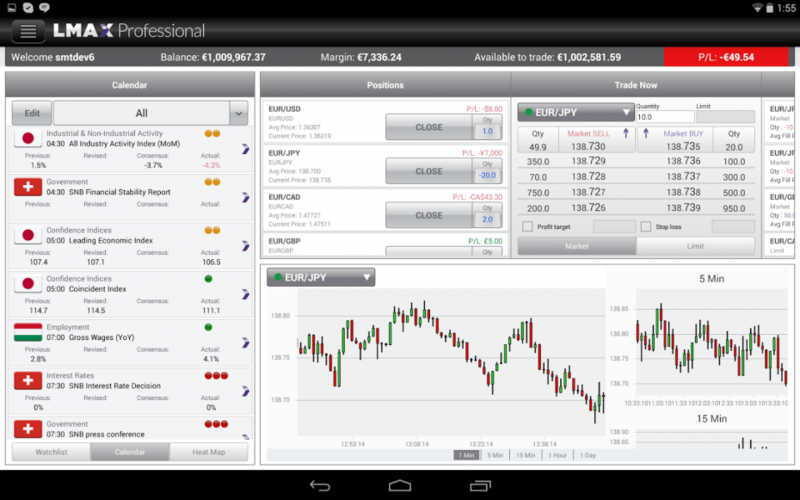 Mobile Trading Partners team is about to start the development of a completely renewed Android application. The team will also focus on testing, adding new features to the existing iOS app, moving the server written in Node.js to Java as well as on complete renewal and architecture change. Mobile Trading Partners is a finance industry company that built a fast and reliable cloud-based market data distribution network. Mobile Trading Partners offers a range of products including Mobile Apps that could be customized and provide full-featured trading, charting and granting access to financial news and other necessary information. Among products there are also Cloud trading proxy that handles multiple mobile and website use cases and streams real-time quotes and notifications to all users and Web Widgets delivering timely information such as up-to-date price quotes, charts, and news updates. Advanced Analytics, sales tools, live dashboards and admin tools for ultimate control could be developed on demand.